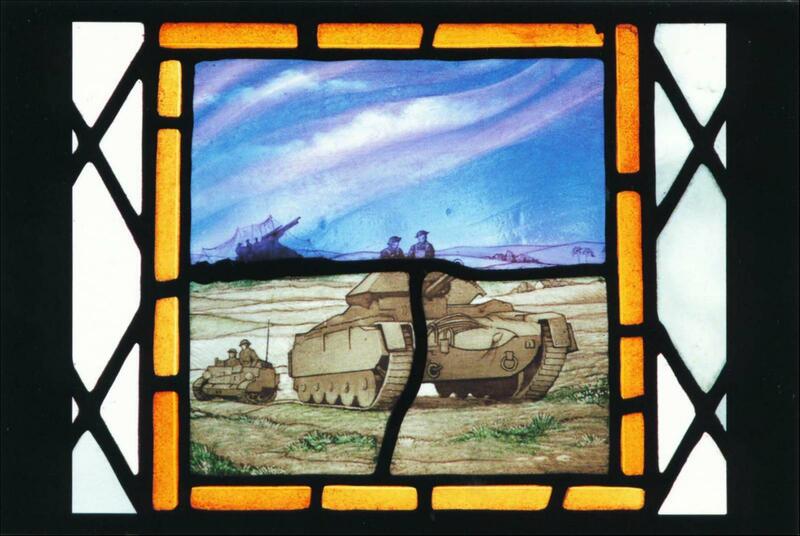 Notes: D-Day Memorial Window in Christ Church, Portsdown, Purbrook, Hampshire. The church was used by H.Q. British Second Army for an Eve of Battle Service before the Invasion of Normandy.